selected by a committee of their piers as Marine of the Year. 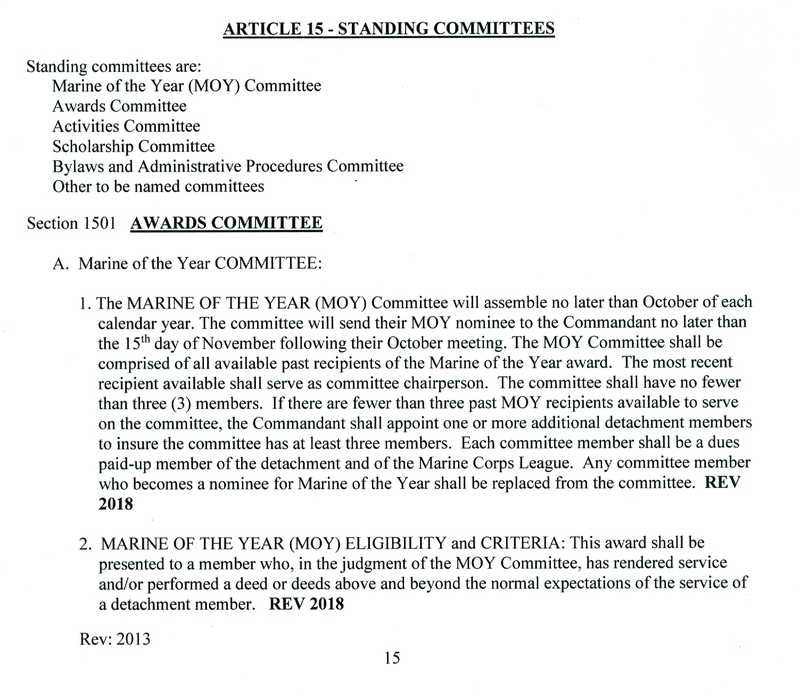 This award shall be presented to a REGULAR MEMBER of the Marine Corps League who has rendered service(s) and/or performed a deed(s) above and beyond the duties and obligations required of a member of the Marine Corps League, or a meritorious deed(s) so identified as being within the scope of these rules shall be of such substance that the weight will or shall have brought acclaim and prestige to the Marine Corps League; or has enhanced and/or furthered the concepts of the duties of being a citizen of the United States of America; or a deed(s) of courage or valor without regard for his/her own safety. 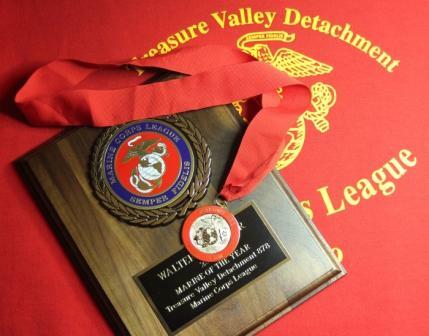 Guidance for the selection of Detachment Marine of the Year from Detachment Bylaws.